If you love entertaining guests or have a large family, then this is the perfect set for you! 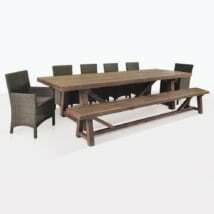 This dining set features our 101″ Hampton teak dining table and our Wave teak chairs. We include eight side chairs and two armchairs. 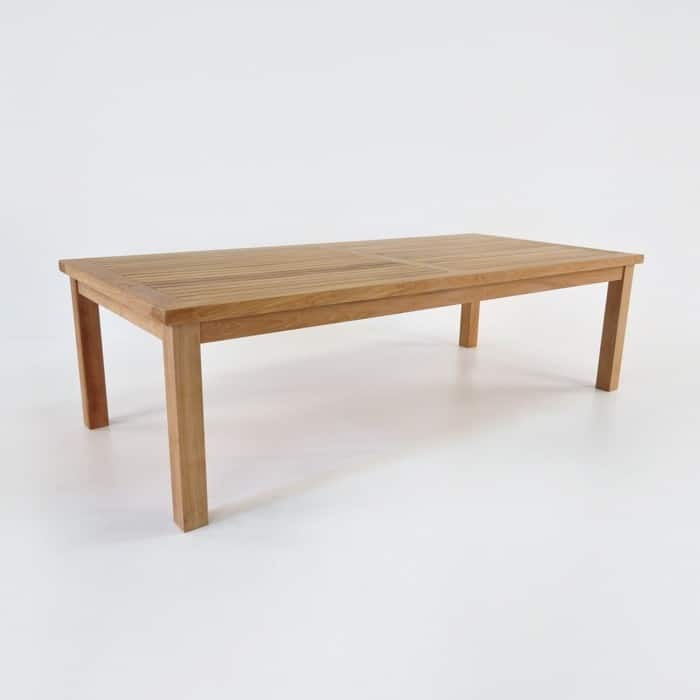 The Hampton outdoor dining table is, and looks very sturdy. This is because of the design features we implemented with the table. 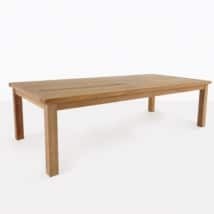 For example, the widths of the legs of the table are a chunky 4”. The table runs a very long 101” and 47” wide. These dimensions make it one of our longest tables that don’t feature extensions. 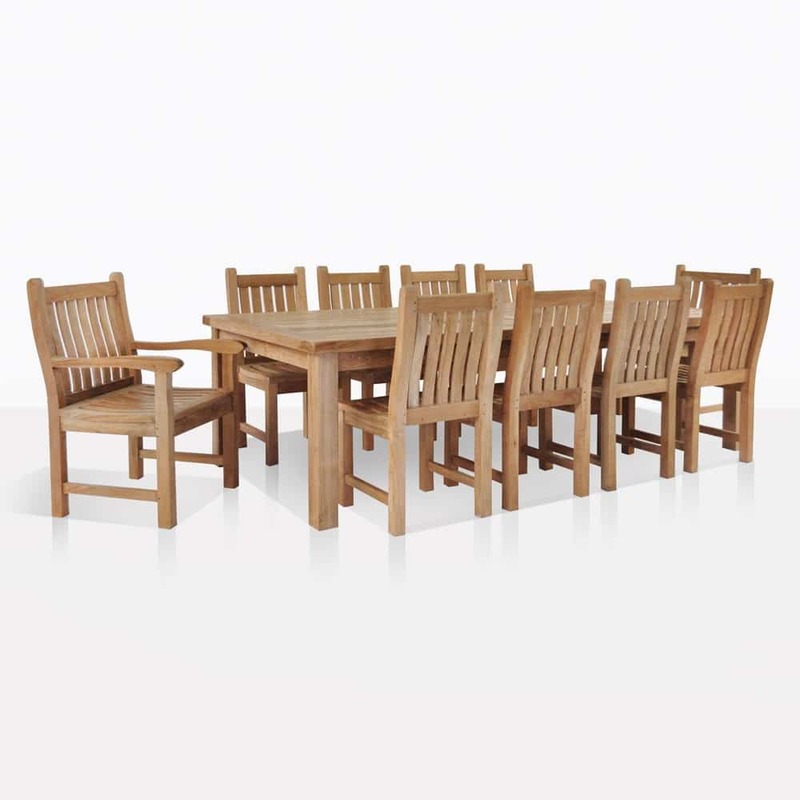 Both the table and chairs are created from Grade-A Teak. 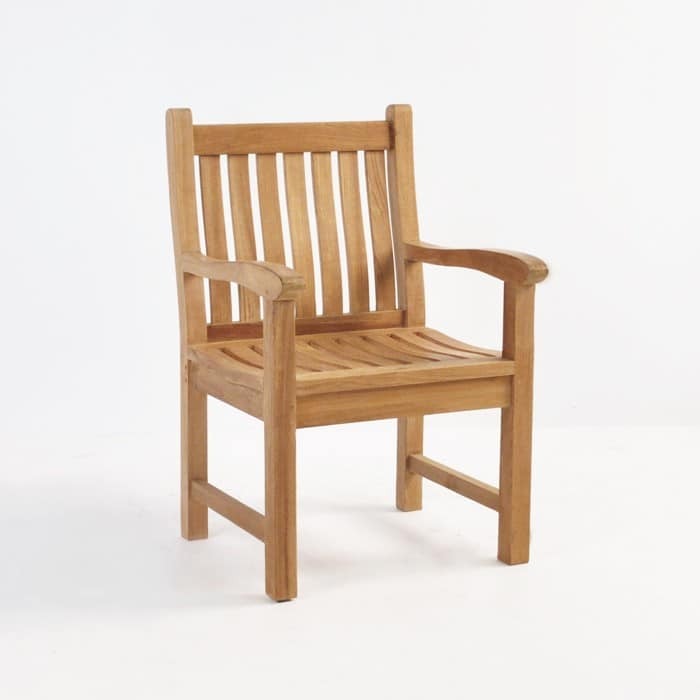 We only use this grade of teak wood because it is the only suitable grade for outdoor use, even in harsh conditions such as living close to the ocean, or even on a boat. 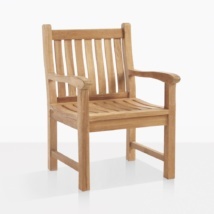 Teak is perfect for outdoor dining because it can be used outside without aging or being compromised over time. It is also very easy to maintain and clean. Completing the chunky theme of the set is our Wave chairs. 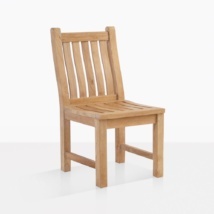 These chairs feature a chunky design as well with broad slabs of teak wood used for the legs as well as the frame. 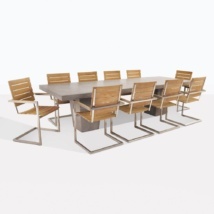 The wave chairs are a convenient height for the Hampton dining table which is 29” high, as is all of our tables. The Wave chairs are 24 “ W to accommodate mostly everyone. 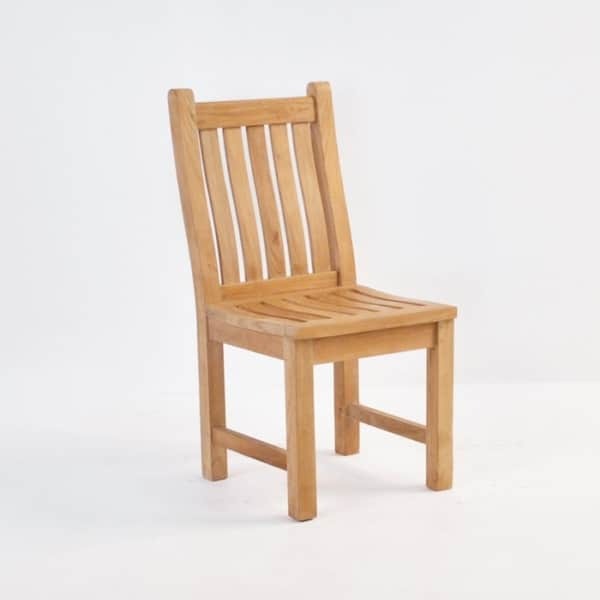 Two different styles of the Wave chair are included: eight of the side chairs and two of the armchairs.